Thank you, your Request for Quote has been sent! Roger is a Draftsman with understanding of civil engineering and surveying principles. He graduated from the Oregon Institute of Technology with an A.A. and a 3.29 cumulative GPA. Roger then joined the team at PSE. Rogers experience includes analyzing and designing of structural component systems under the supervision of a licensed engineer. Roger has also done architectural design and drafting. Roger specializes in Stick Frame Structures. 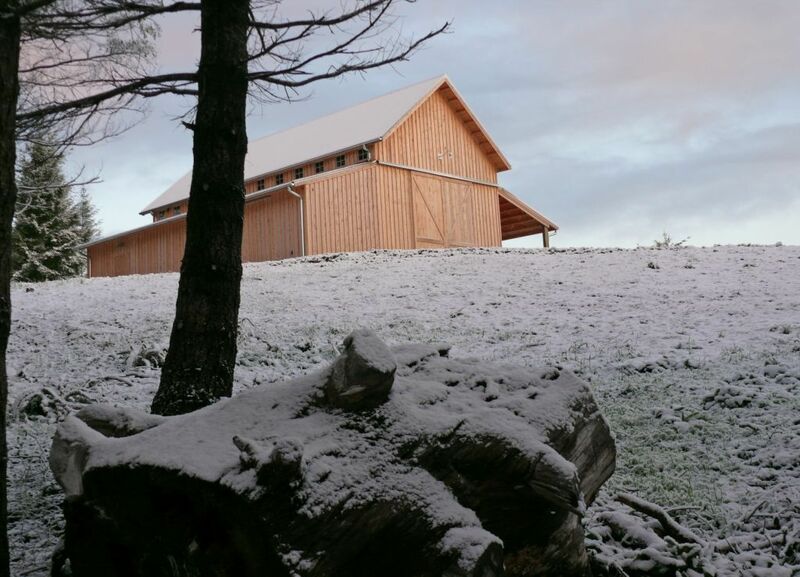 Since working with PSE he has designed hundreds of stick frame structures such as pole barns. He has also done some work with ODOT and some residential homes as well, all while under the supervision of a licensed engineer. Mo. El-Reedy’s background in structural engineering. His main area of researchers is the reliability of concrete and steel structure. He has provided consulting to different engineering companies and oil and gas as the International Egyptian Oil Company (IEOC) and British Petroleum (BP). Moreover, he provides different concrete and steel structure design package for residential, commercial buildings, warehouses and telecommunication towers and electrical projects with WorleyParsons. He has participated in Liquefied Natural Gas (LNG) and Natural Gas Liquid (NGL) projects with international engineering firms from preliminary engineering to detailed and execution phase. He provides a complete design package for power generation projects with ALSTOM, INTEC. Currently, Dr. El-Reedy is responsible for reliability, Inspection and maintenance strategy for onshore concrete & steel structures, and offshore steel structure platforms. Dr. El-Reedy has written numerous publications and presented many papers at local and international conferences sponsored by the ASCE, ASME, ACI, the American Society for Testing and Materials, and the American Petroleum Institute. He has published many research papers and has authored many books about the assessment of concrete structure, advanced materials in concrete industry, structure reliability, total quality management, quality management and quality assurance, economic management for engineering projects, and repair and protection of reinforced concrete structures. The publications in the following link: www.amazon.com/author/elreedyma . He received his bachelor’s degree from Cairo University in 1990, his master’s degree in 1995, and his Ph. D from Cairo University in 2000. Ralph started attending the Oregon Institute of Technology in September of 2000. Once Graduated from OIT with a Bachelor degree in Civil Engineering in 2005, Mr. Hall joined Precision Structural Engineering. Mr. Hall specializes in Dome structures and custom residential homes. Mr. Hall developed the structural design of many residential and commercial structures commonly beginning from architectural drawings. The typical tasks he completes during the design process include developing framing plans, lateral (wind and seismic) analysis and design, vertical and horizontal member design, foundation design and the development of detail drawings. His life experience in the construction industry allows him to develop structural designs that not only meet the code requirements but also are actually build-able by those in the construction industry. Francis graduated from Luzon University with a B.S. in Architecture in 1985. After Francis graduated he began working for the Department of Public Works and Highways. He continued to work there until 2001. In 2003 Francis began working for Northwest Design and Restoration as a Drafter until 2005. In 2005 Francis made the transition to Pacific West Architecture Inc. He continued to work there until 2008 when he made the move to Acme West Co. Inc. He worked there until 2011. In 2015 Francis became part of the PSE team. Francis specializes in planning and designing and is responsible for turning dreams into reality. Francis has provided PSE with some outstanding design plans since he has been with us and he is a great addition to the team. Charles began as a Construction Surveyor in 1987. He then joined the United States Army and worked as an Engineer until 1991. After the Army Charles began working at the Bureau of Land Management. After a few months Charles worked with W&H Pacific. A few years later he began working for Kas & Associates until 2006. In 2007 PSE was lucky enough to add Charles to the team and he has been with PSE ever since. Charles specializes is residential homes. He has done several residential homes since he began working with PSE. He has also done work with Log Homes. He enjoys the work he does and is very good at it. Brian attended the Oregon Institute of Technology and graduated with his Bachelor’s degree in Civil Engineering in 2013. He then became part of the Precision Structural Engineering team and has been with PSE since. Over the 2 years Brian has been with PSE his skills have evolved and he has started taking on more projects and the type of projects he engineers has broadened. Brian’s tasks include lateral (wind and seismic) analysis and design, vertical and horizontal member design, foundation design, drawing and developing structural drawings and details. All the aforementioned work was done under the supervision of a licensed engineer. Brian is skilled in several computer programs such as, AutoCAD, RISA 3D, RISA Foot, Woodworks Office, and Microsoft Office. Although Brian does pretty much any type of project you could want, he specializes in Earth Bag homes and “Green buildings”. Since working with PSE, Brian has been involved in numerous different types of projects including large scale projects such as churches. He has also been involved with smaller scale projects such as Treehouses, Yurts, and round homes. Vik earned his Bachelor’s Degree in Civil Engineering at SV University in Tirupati, India. After graduating, Vik worked at Akruti Architects in India from 1990-1996. After leaving Akruti he joined Srinivasa Construction and was there until 1997. He then began working at Peninsular Pertotech in Qatar. After working there he then went to Al Ghafly General contractors for a year and following that worked with M/S Associates until 2002. In 2007 Vik joined the team at Precision and has been here ever since. Vik is a licensed engineer in India. He has 12 years of professional experience in Civil engineering. Since then, Vik designed and detailed many Residential buildings (conventional wood & log structures), Aluminum structures, light gauge steel buildings ( Aeropostale stores, Haiti earthquake reconstruction) ,commercial buildings, Red-iron steel buildings ( Hangers for Army, Air & Naval bases), churches and tree houses under supervision of a licensed engineer. Vik does several different kinds of projects however, he specializes in Log Homes and Tiny Homes. Since he began working with PSE he has engineered hundreds of Log Homes, and dozens of Tiny Homes. He has also done several commercial buildings as well as awnings and canopies. Nabil graduated from Cairo University in Egypt in 1978 with a B.S. In Civil Engineering. He then moved to the U.S. and began attending Kansas State University. In 1985 he completed his M.S. in Civil and Structural Engineering. In 1988 he completed his Ph.D. in both Civil and Structural Engineering. In the several years after he graduated he designed several residential and commercial buildings. Nabil moved to Klamath Falls, Oregon and began teaching at the Oregon Institute of Technology as an associate professor of Civil and Structural Engineering. He taught 6 different courses and continued to teach until 2004. As well as teaching, in 1998 Nabil opened his own engineering firm; Precision Structural Engineering. He oversaw, reviewed, and supervised the structural design of several engineers and designers. In the years that Precision has been open, Nabil has designed and reviewed at least 450 structures annually. Nabil specializes in projects with shipping containers and is one of few in the world that deals with projects involving these containers. Aside from shipping containers, he also specializes in Green Buildings and because of his passion for it, today Precision Structural Engineering is one of the leading engineering firms specializing in these Green Buildings. He is licensed in 47 states and has provided the engineering for structures all over the U.S. and also in several different countries.